I'm not sure how I came across Joe's instagram account but as I'm in to healthy eating, as soon as I found it, I was hooked. He's a personal trainer that creates short videos called 'Lean in 15' where he shows how he cooks quick and healthy meals. Other than being incredibly funny to watch (he likes to wind up his neighbours in Surbiton) his recipes are so easy to follow and super tasty. I recently made his turkey burgers and they were so yummy, they've now become a regular meal I like to eat. I started following Joe when he had a few thousand followers and he now has over 70K so its quite clear people love watching his videos as much as I do! I don't follow a great deal of fashion bloggers as I'm more of a beauty girl but I met Sarah back in September on a work trip to Brighton and ever since, I've been in love with her Instagram account. She writes the fashion blog 'That Pommie Girl' where she posts a variety of super stylish looks and what I love about her the most is that the things she wears are accessible to the every day girl and easy to wear - I often see something she's wearing and want to go and buy it instead of thinking 'I couldn't pull that off' like I do when I see some other fashion posts. She recently had her eyebrows tattooed too and I'm just a tad jealous - totally flawless! Olivia is a Manchester based makeup artist who has done makeup for some stunning celebs including Michelle Keegan. I actually found her account after Michelle tagged her in a post where her makeup looked completely flawless. I instantly headed over to Olivia's account to see which products she'd used to create Michelle's look and its safe to say, I left her account with a wish list as long as my arm and a MAC order placed. As well as being fantastic at makeup, she also does the best and most natural looking eyebrow tattooing I've ever seen. I definitely want to book an appointment with her to get mine done as soon as I have some spare cash. If you're Manchester based and looking for a makeup artist / eyebrow tattooist, Olivia is your girl! 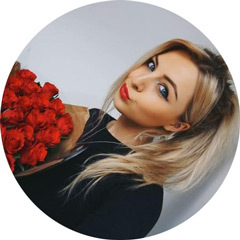 I've been following Millie since I first started blogging as she's one of the first bloggers I discovered and followed when I was first starting out. What I love so much about Millie's instagram (and blog) is how pretty and whimsical everything looks. She has a consistent look to her images as they're all full of pastel tones, pretty things like cakes, shoes and lipsticks and they're always bright and clear. She got married in the Summer and seeing the photos of her wedding on Instagram was amazing - it looked like a picture perfect day. She always makes me want to go shopping too as she often posts photos of new beauty collections so if you want to know what's new in the beauty world, following Millie is a must. Oh I do love Em, she's one of my best blogging gals! 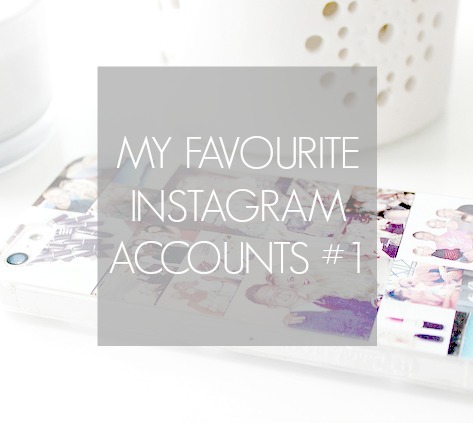 I've mentioned how much I love her blog in my favourite bloggers post here but I also love her instagram account. She's currently travelling around Canada / the states and seeing her photos of beautiful buildings, beaches and yummy food make me more than a little jealous. I just love how well thought out Em's images are - they're always taken from cool angles and have perfectly blurred out backgrounds. She also wears fab outfits and has persuaded me to buy something on more than one occasion. She's just a beaut! These are just a selection of the fab instagram accounts I follow so I'm planning to do more of these 'share the love' style posts in the future. I hope you've found some new accounts to follow and don't forget to follow me too (shameless plug!) @kayleighjcouture. this is such a lovely idea for a post! definitely need to check out these instagrams! Your one of my favourite Instagram accounts so it was nice to see who you love :) I already follow most of these though. YES! I follow a few of these accounts and couldn't agree more, especially Milly's! Her account is so girly and magical :) Great post!